I love your hair like this! You look like such a Boho babe. Your hair looks great in this head band style. Adore the way youve styled this. I know exactly how you feel, I'm in a total post Christmas, no money outfit rut! This is pretty darn perfect though, those boots! Gorgeous! I love those boots! Wish they weren't sold out in my size. Your hair looks great like that - and now you've got The Circle of Life stuck in my head! Im with you in the outfit difficulties, all I wear at the mo are jeans and jumpers! I love this look though, the scarf is the perfect! I love this whole look, it really is just perfect thrown-together layers and pieces! 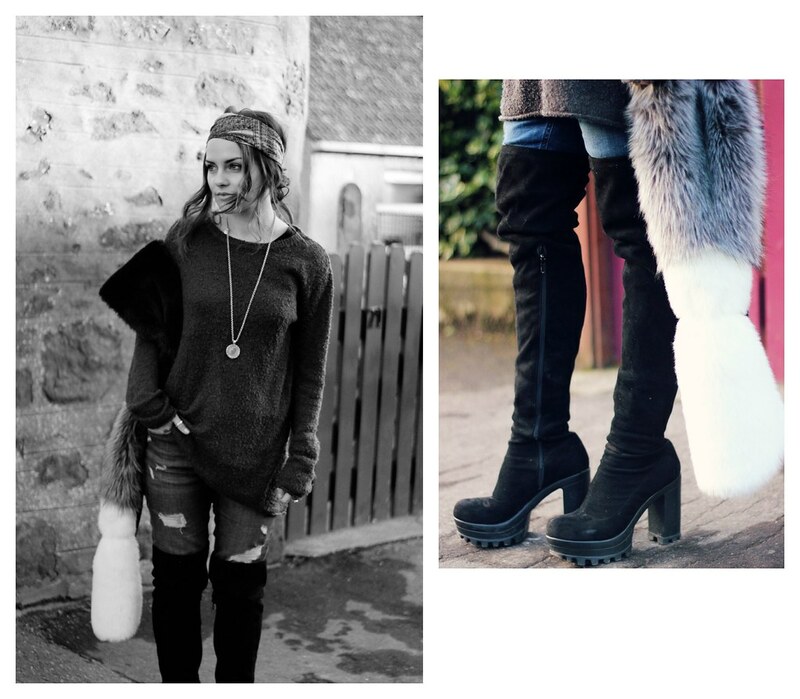 Love the fair fur stole and the boots a lot! Gorgeous! 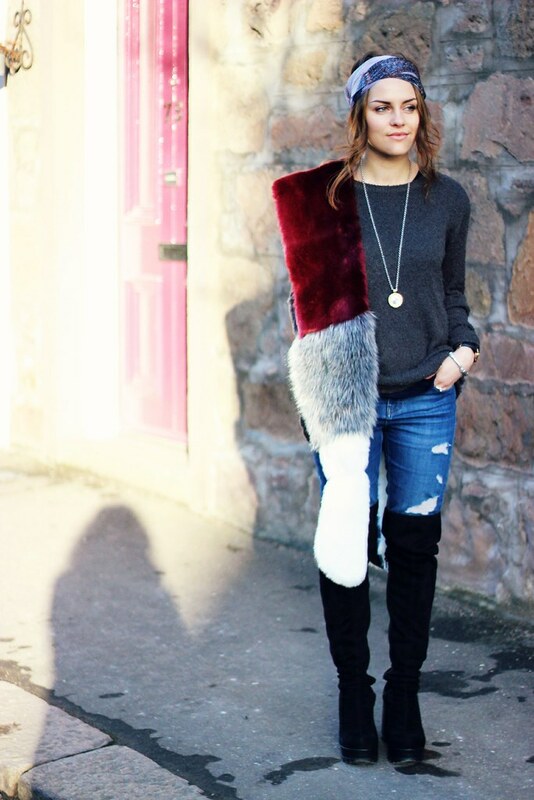 I love the faux fur wrap! Looks amazing! Gorgeous! And you've got me delving into my headband drawer with all this keef richards styling! Wow the headscarf suits you so well! Love it with the fur! Harry Styles inspired outfit post is up, if anyone's interested, take a peak! love your blog, it's amazing! Well done!